Creativity, adaptability, and flexibility in the classroom are very important factors to consider for the socialization of children. While back in the day the motto was children should be ‘seen and not heard’ and children were often told to sit still and be quiet, modern day teaching has a much more flexible and realistic approach. Children are natural fidgeters and talkers, so let them do what they’re best at. Moving around and talking with others can help, not hinder, their learning, in more ways than one. Integrating more movement and creativity in the classroom has proven to both help children learn more and socialize and interact well, aiding the growth and development of their emotional and logical brain. Tools and equipment such as communal boards for writing or drawing, and swivel chairs that allows them to fidget to their heart’s content, make children feel more comfortable in expressing themselves and doing what comes naturally to them. Innately creative lessons such as art and drama may seem less important than English, math, and science, but they are just as significant. 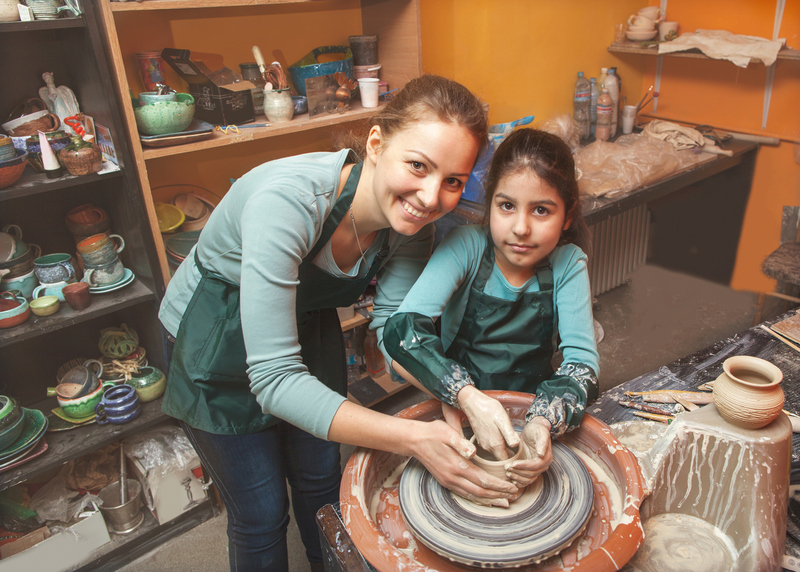 Art is a productive way of children accessing the right, more creative side of their brain. There are n o ‘right’ or ‘wrong’ answers here, so they are more able to express themselves and experiment with shape, form, color, and texture. In drama lessons, children are able to experiment with their emotional and physical being, learning how to channel their energy and play with their creativity. But it’s not just creative lessons that are creative; these elements can be incorporated into any lesson. Embracing social space and sharing can help children learn more comprehensively and comfortably in math, science, history, geography, and basically any lesson. Incorporating group challenges or discussions can help children share and work as a team, which is important in their social development. Group projects such as science experiments or historical presentations to the class allow them to identify their strengths and share work. Often, one person takes up the role as leader and is able to designate tasks. Other groups may work completely as a team, learning to share and pitch in when and where they can. Working in groups allows children to think out loud, which can be an important factor for those who aren’t so academically minded. Embracing creativity in the classroom is a fantastic way to explore all the different kinds of learning styles of children and develop their social skills.